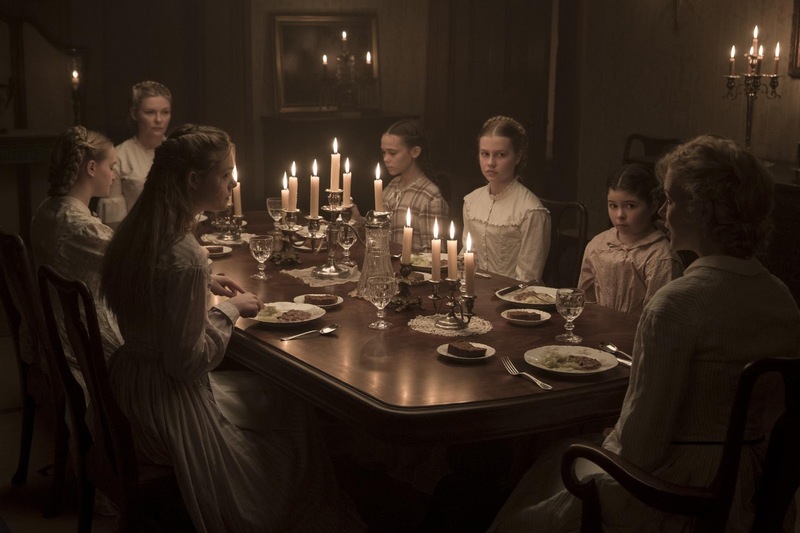 Beautifully and artistically shot, "The Beguiled" and the powerful performances from its cast will capture your attention from beginning until the end. Unfortunately, the payoff falls flat and it is one that ultimately bewilders audiences into questioning if the wait was even worth the end goal. 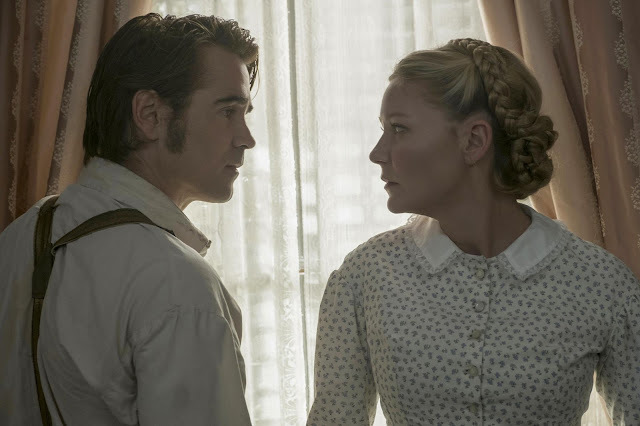 During the American Civil War, a Southern girls’ boarding school and its sheltered young women take in an injured Yankee soldier (Colin Farrell). As they provide refuge and tend to his wounds, the house is taken over with sexual tension and dangerous rivalries. As taboos are broken and the girls deceptively played by the soldier, their lives are ultimately changed in ways they could never have imagined. If there's one thing that we loved in "The Beguiled", it would be the performances of the cast. Each and everyone, young and old, were able to capture the very sensual and tense atmosphere that the situation of having a man brought in to an all-girls seminary. At times, it was actually amusing and fun to see how each girl, still prim and proper, one-upped each other just to get Corporal John's attention. 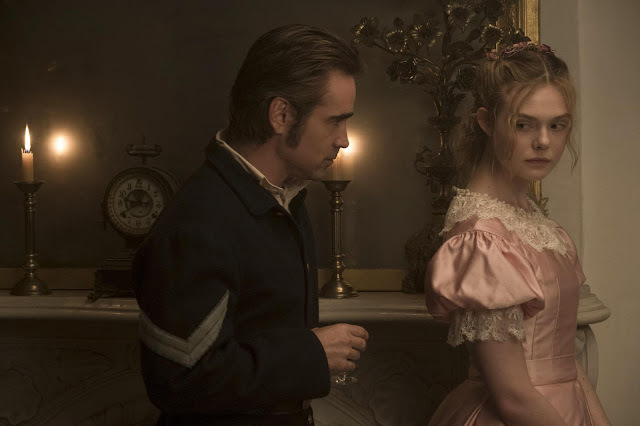 Colin Farrell as the lone and deceptive soldier also had a strong performance overall as his felt natural even to the point of frustration as the girls fail to see what he was up to. Additionally, we have to point out the film's cinematography. It was astoundingly beautiful in the most nuanced of ways. The attention to detail is jaw-dropping and while we never really get to see the war first-hand, the dilapidated look of the seminarycdoes. There's no denying that Sofia Coppola has an eye to make even minute scenes into something grandiose. But even with strong performances and wonderfully shot sequences, the film falters due to its lackluster screenplay. The story fails to make a deep connection with audiences. The strong performances bring about entertaining conflicts - but just for entertainment at best. It was like watching a local telenovela and the catfights involved. At the end of the day, the film lacks that deep-rooted substance we wanted to experience. While there are hints on how these girls have been transformed, affected and probably scarred by meeting such a devilish man, it never really shows so. For a film that takes it times to finish scenes, it just felt rushed.